Home security should be your first priority. 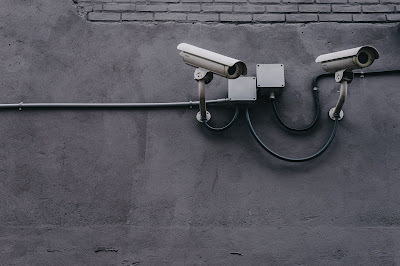 You will enjoy more peace of mind knowing that your property is well protected and in case of emergencies, the immediate security team can offer help. You should opt for monthly 24/7 monitoring services so that you can have access to round the clock security service. Investing in home security by installing security systems, smart alarms and other security features will help to reduce home insurance cost. This also enhances your security and that of the family members. Your property is also secure and overall, you can relax and focus on other important things in your life knowing that your family is safe. One way through which you can prevent a break-in is by investing in modern security monitoring systems. They will sound an alarm in case an intruder tries to break in. The alarm response team will get the signal and come to your rescue within a short time. Some of the best companies have a response time of less than a minute. You will also get the alarm and maybe have time to prepare or even hide at a safe place before the security team arrives. But generally, the sound of an alarm scares away criminals. It is good to install it around your home. Through modern surveillance systems, you can monitor your home from any smart device. You may review surveillance real time on television or access it remotely from your desktop computer. This means, wherever you are, you can monitor what is going on at home. You may also monitor your kids or any visitors at home if need be. The surveillance cameras can review who is at the door so that you know the person knocking the door. This is especially so if you live in a high-security risk neighborhood. You should be prepared to handle emergencies. This can prevent damage and loss of property and life. When you invest in high-security systems, you get instant help from security companies that you have signed up with. It is important to invest in alarm systems that can detect gas leaks and smoke. That way, before a disaster strike, you can handle the issues. Most insurance companies will charge you fewer premiums if you have invested in Home security systems. You should install security alarms and sign up for the services of alarm monitoring companies. There are many other modern smart home security solutions to consider. Investing in them ensures that you get value for your money. Insurance companies will charge you fewer premiums because of reduced security risks since you have installed security systems. You will enjoy more peace of mind if you are not worried about the security of your home all the time. This enhances your productivity and will help you create more wealth. But you must research and get the best security systems in the market. It is good to invest in home security. Reviews show that people who have reliable security solutions enjoy a stress-free life and are more productive at work or in business.